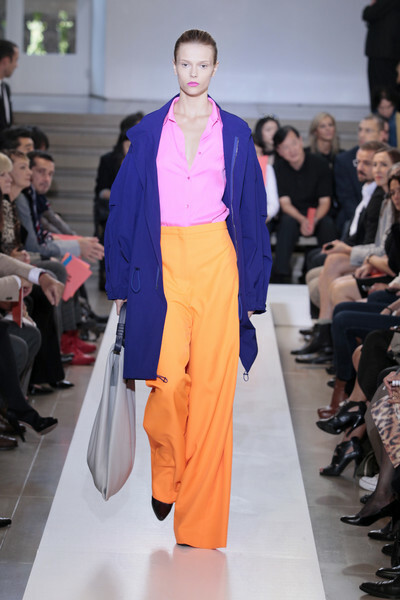 Wow, that was a real good Jil Sander-show. 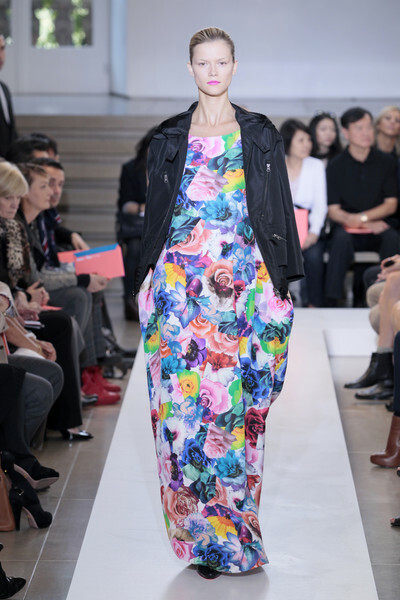 The way Raf Simons treats colors, the new minimalism but also the need for strong elegance proofs he is a true craftsman and creative, daring designer. Yes, the silhouette was exaggerated, yes the colors sometimes hurt the eyes and yes the skirts were maybe too long – but fashion can take a whole new direction with his ideas. 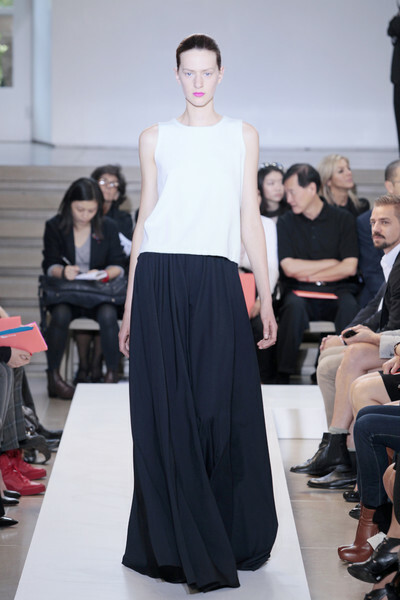 Simons focused at shape, volume, proportion and new materials and used couture as his vehicle. Skirts were long and sack shaped, trousers ultra-wide and some tops had a contrasting frill. This sounds very old fashioned haute couture – especially because it reminded of the old YSL and Givenchy – but Simons added a modern touch by mixing it with plain white T-shirts or a tank-top. Jackets had contrasting front edges, the long skirts seemed classic but had sensual high splits and the simple dresses with vertical stripes (in white and navy) looked modern and right on. Besides shape, color was his most important message; so don’t be afraid of neon yellow, day glo orange, shocking pink, purple, green, electric blue or the exaggerated floral prints.